Alan Jazmines, a General Engineering graduate and Master in Business Management. Former professor who taught economics, business environment and management at the Asian Institute of Management. Former executive at the Iligan Integrated Steel Mills Incorporated. He is an NDF peace consultant, working and coordinating closely with the NDFP peace panel and the NDFP Committee of the NDFP-GPH Reciprocal Working Committee on Socio-Economic Reforms (NDFP-GPH RWC CASER). While actively performing the above task, he was surveilled and arrested just a few hours before the resumption of the long delayed formal NDFP-GPH peace talks in Feb. 14, 2011, in violation of his status as an NDF peace consultant and in breach of a standing NDFP-GPH agreement to protect peace consultants from surveillance, arrest, detention and other antagonistic acts—the Joint Agreement for the Safety and Immunity Guarantees (JASIG). 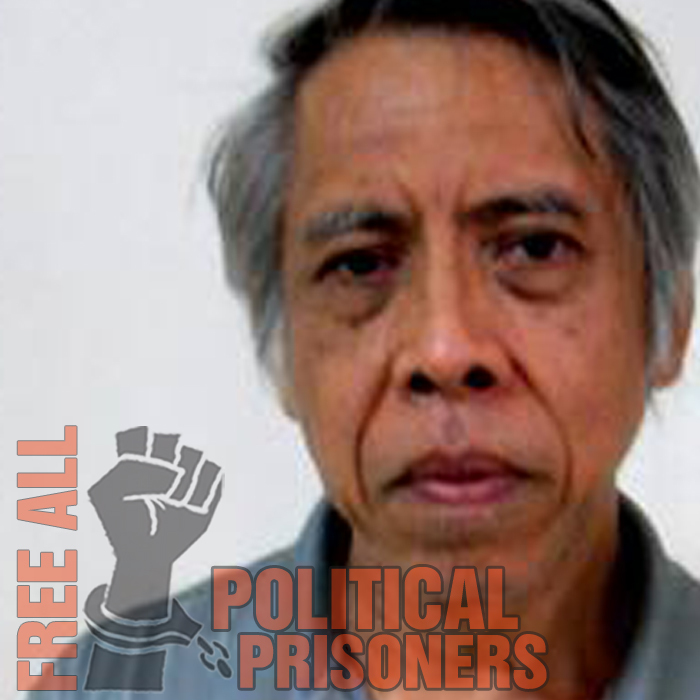 While in prison, Jazmines has been in the forefront of struggles against unjust, arbitrary and even illegal imprisonment of political prisoners, as well as against numerous violations of human rights and other rights of prisoners, especially political prisoners. In reaction, police and prison authorities have several times tried acts of reprisals against him, including three attempts so far to compel his transfer to another detention center where conditions are much more restrictive and where they hope he can be more effectively gagged and repressed. But with his resistance and the support of other political prisoners and of others outside, police and prison authorities’ efforts at reprisal and further repression have so far been thwarted. Jazmines is also a poet, a painter. – He was arbitrarily transferred to Camp Bagong Diwa–Special Intensive Care Area on June 29, 2012.